Currently there is only one jointly operated scientific base - Concordia, occupied by both France and Italy. The Novolazarevskaya airfield is a joint operation coordinated by Russia. 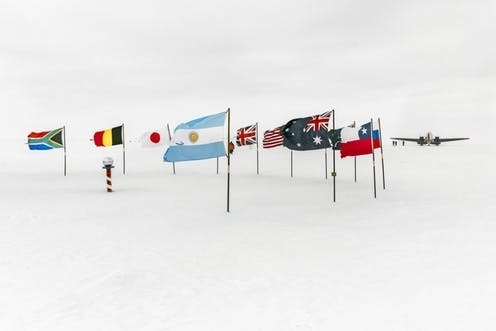 Essentially, any country - whether a party to the treaty or not - can do whatever they like in Antarctica.